We partner with the University of North Texas faculty, staff and the entire campus community to create an inclusive environment that prepares and promotes UNT student success in a global marketplace. At UNT, all members of our community value, support and respect each other and the educational benefits of diversity. The division is comprised of two entities: the Office of Equal Opportunity and the Office of Diversity & Inclusion. 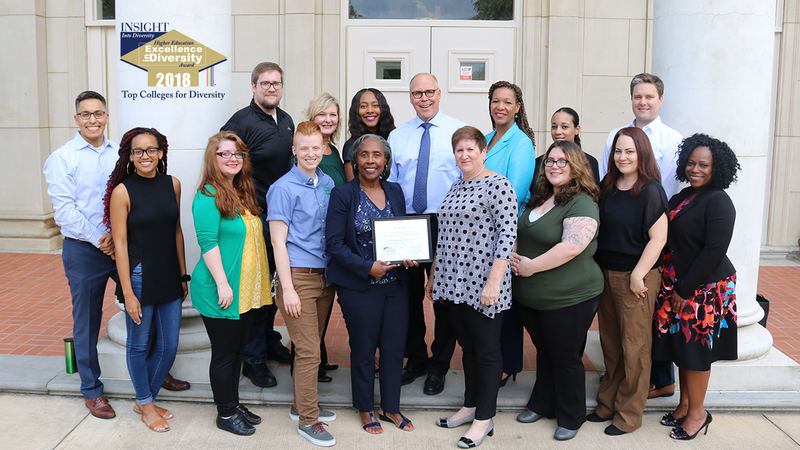 UNT is the 2018 recipient of the Higher Education Excellence in Diversity (HEED) Award from “INSIGHT Into Diversity” magazine. Learn more about this prestigious award.